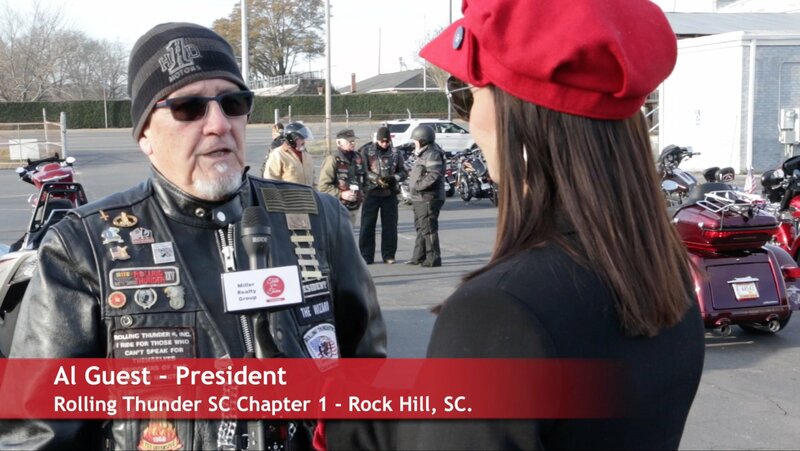 Rolling Thunder Rock Hill SC chapter hosts the local event of the nationwide Wreaths Across America program. Each December on National Wreaths Across America Day the mission is to Remember, Honor and Teach by coordinating local wreath-laying ceremonies. The closet wreath -lying event for our area was held at Grandview Memorial Park in Rock Hill, SC. 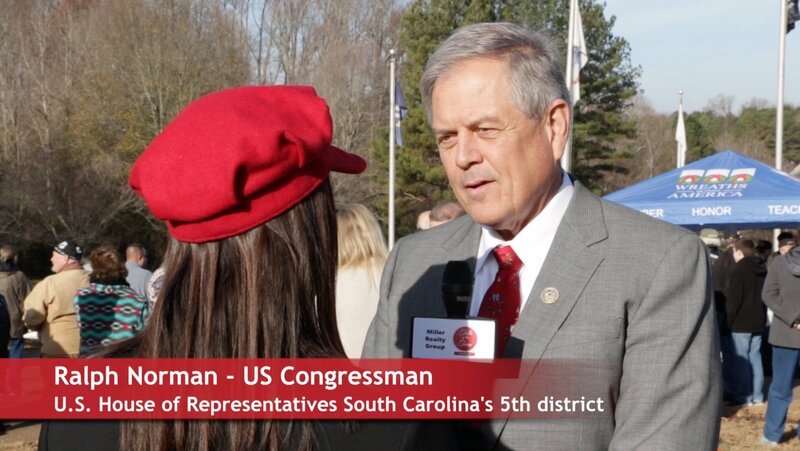 Talk of the Town Carolinas interviewed the local coordinator Teresa Guest, Rolling Thunder President Al Guest, and US Congressman Ralph Norman. 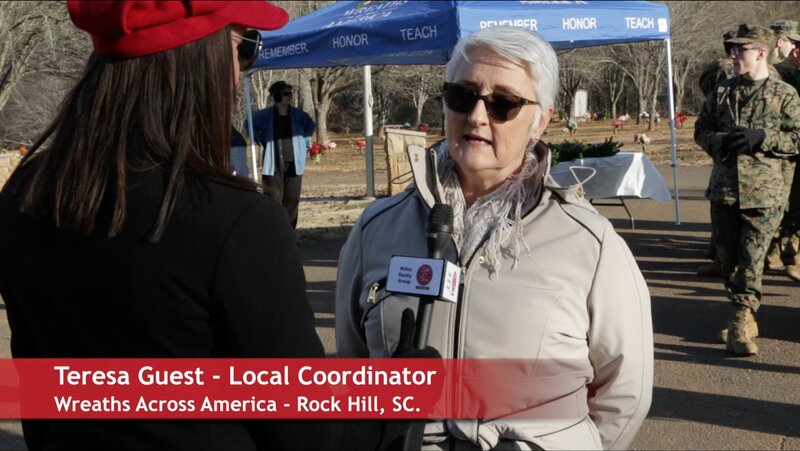 Watch our video to find out more about Wreaths Across America. 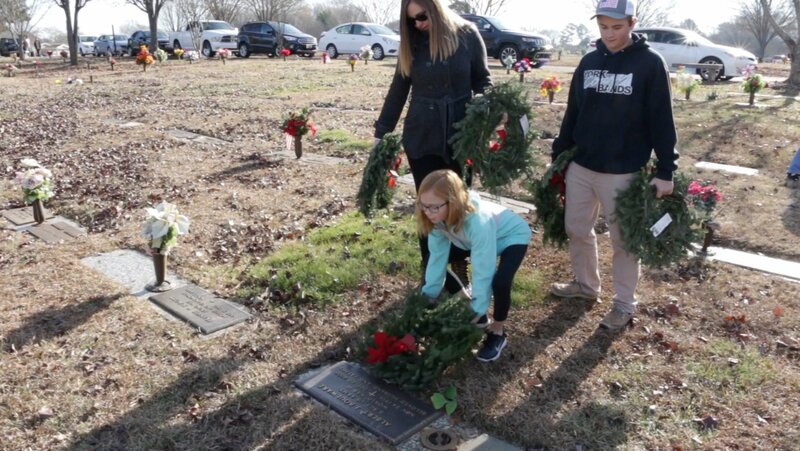 On National Wreaths Across America Day each December, volunteers place wreaths on individual veterans’ graves in over 1,200 locations throughout the U.S., with ceremonies at sea, and at each of the national cemeteries on foreign soil. You can sponsor a wreath at a cemetery near you, or even volunteer with or donate to a local fundraising group. 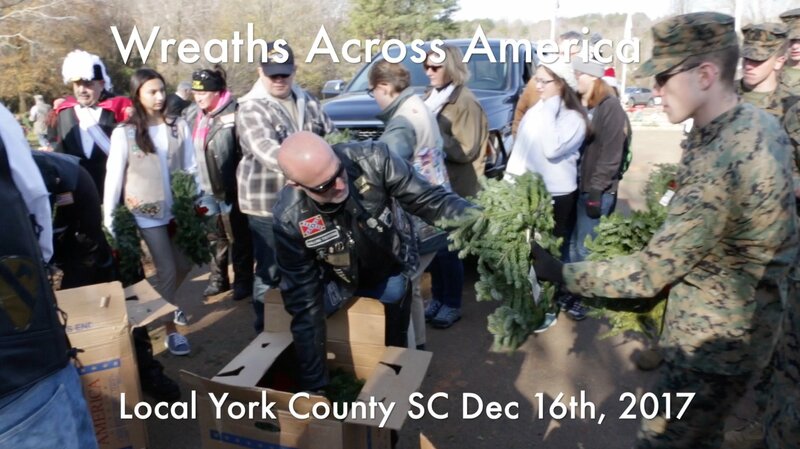 On December 16, 2017 York County SC volunteers placed 800 plus wreaths on veteran gravestones at Grand View Memorial Park. Rolling Thunder plans to continue the local wreath-laying event next year, but they will need your help to raise money and will need volunteers to place over 1000 wreaths next year. You can help learn more, donate and volunteer by visiting their website page at https://wreaths.fastport.com/donateLocation.html?page=19586.